Kansas City, Mo. I May 21, 2018 - The Kansas City Area Transportation Authority (KCATA) will observe the Memorial Day holiday on Monday, May 28. Bus routes will use Sunday/Holiday schedules on Memorial Day. The Regional Call Center, administrative offices and Customer Service Lobby will be closed. The RideKC Freedom paratransit office will be open from 8 a.m.-4:30 p.m. and paratransit will be provided in eligible areas. Routes operated by Johnson County, Unified Government, and Independence will not offer service because these routes do not run on Sundays. KC Streetcar will run from 7 a.m. to midnight on Sunday, May 27. 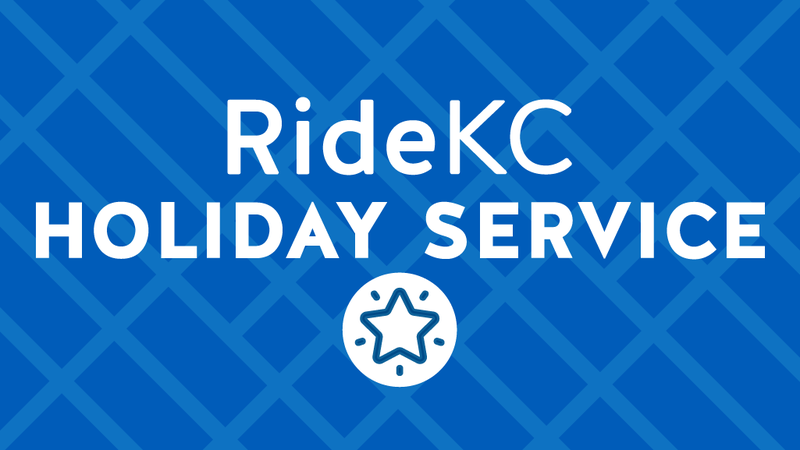 On Monday, May 28, KC Streetcar will operate on the Sunday/Holiday schedule with service from 7 a.m. to 11 p.m. The administrative offices will be closed. For route information, contact the Regional Call Center at 816.221.0660, weekdays from 6 a.m. to 7 p.m.